Our dinner event (casual attire) will be held on June 1, 2019 at 6pm. 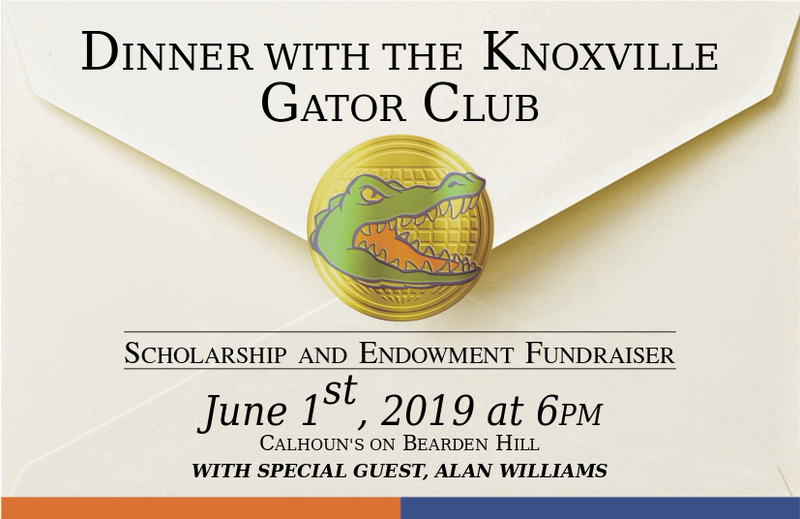 The dinner will be at Calhoun's - Bearden Hill located at 6515 Kingston Pike, Knoxville, TN 37919. $30 For UFAA members, 35 for non-members ($35/40 after May 10th). Buy your tickets online in our store: click here. If you prefer to pay by cash or check, just let us know in your RSVP! Money raised at the dinner is donated to our scholarship fund. Alan Williams was born in Knoxville, TN, but moved to South Florida at the start of high school. Growing up, Alan always had an interest in sports. Alan gained a football scholarship to play at the University of Florida, and, from 1973-1977, he played for the Florida Gators, under the direction of coach Doug Dickey. During his senior year, 1977, he was the top punter in the country for 7 of the 11 football games. While at Florida, he was a Big Brother, which entailed assisting with campus and charity events, and he majored in journalism. Alan William’s career in journalism was sparked when he was asked to help with commercials and television events on campus, including commercials for sorority organization events. When Alan reflects back to his time at Florida, he says that he would never change anything. He loved his experiences of life on campus, and from these experiences, he grew and developed in his personal life as well as his career. In the spring of 1978, Alan was pulled from schooling to join the New York Jets. He played for their team, until he accepted a job here in Knoxville, in 1979, at WBIR as a weekend sports anchor. 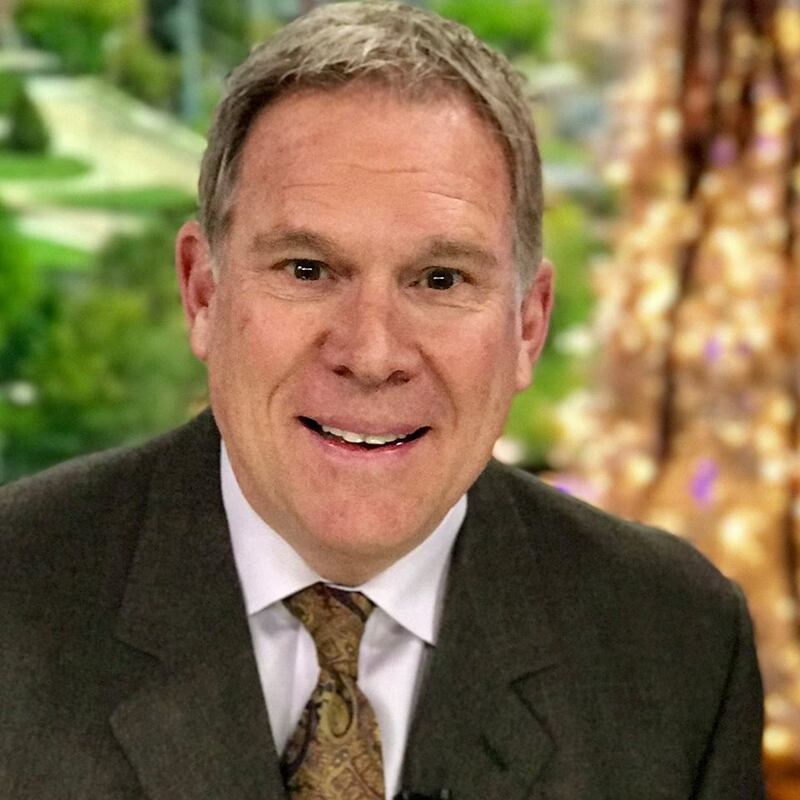 He then moved to Alabama to do work for a local channel there, but then came back to Knoxville to be a sports director at WATE, then also sports director of WIVK radio. During that period, he also hosted a TNN country dance show called "Dance Line." His career took another turn when he came on board at WKXT (now WVLT) in 1988 to host a new show called "Noonday," and that led to his role as an evening news anchor. Alan has since continued to be with WVLT, and currently is still an evening news anchor. He is also a member of the Screen Actors' Guild and a member of the Country Music Association. He is a spokesperson for the Shangri-La Therapeutic Academy of Knoxville, advisory member of the Knoxville Nativity Pageant, a Knoxville Area United Way board member as well as board member for Positively Living and Love All Tennis. Alan is married to Rebecca Jackson, a former Vol Football Hostess. He has five children. In his spare time, he enjoys sports, running, reading and sharing time with the family, three dogs and two horses.